In some parts of the world, repair has always been a service offered in the street. But even in countries where such services no longer existed, they are coming back in major cities, thanks to the new repair communities. Gathering places first in their kind, based on the model of the literary cafe, where people interested in fixing things or in getting things fixed (clothing, furniture, appliances, cookware, bicycles, toys, etc.) can meet to have a drink while looking through books on the subject of repair. 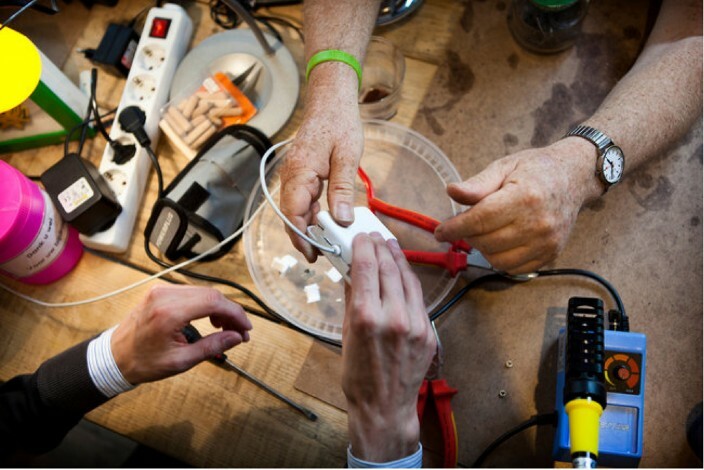 The “Repair Café” chain has opened in various cities in Europe, North and South America, Australia and Japan. In the Netherlands the chain is financially supported by a Foundation and has the backing of the Dutch Ministry of the Environment.